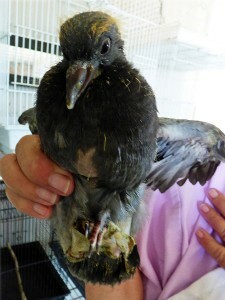 The Forever Wild Avian Sanctuary is an IRS-recognized 501(c) (3) non-profit all-volunteer organization. The Sanctuary is located on a 2.5 acre parcel of private property southeast of Tucson. Formerly known as the Forever Wild Animal Rehabilitation Center, this Center was converted to a sanctuary for domestic species in the spring of 2015. 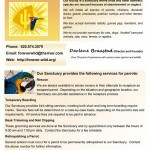 Call the Sanctuary at (520) 574-3579.